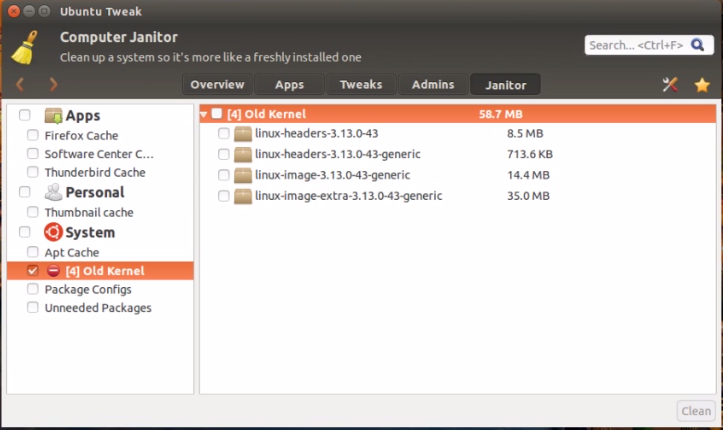 Kernel is an important part of Linux system. 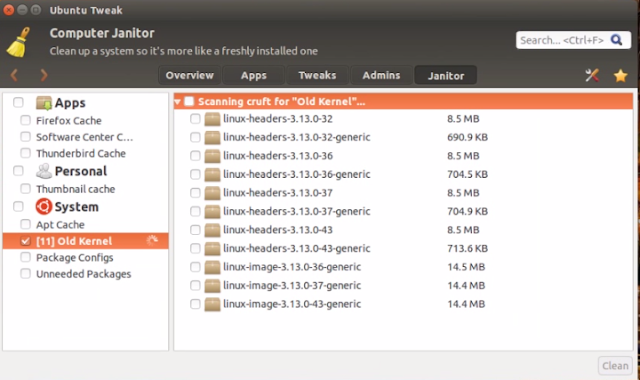 When you upgrade to new kernel version, the old kernel will be left in your system . 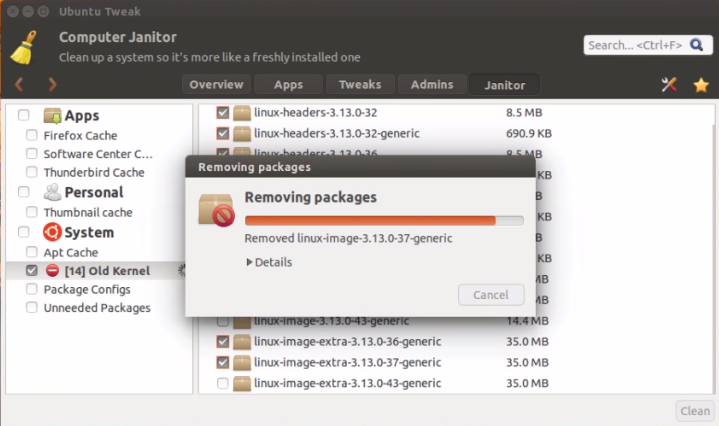 As time goes by, this might consume your hard drive and cause problem to your system. 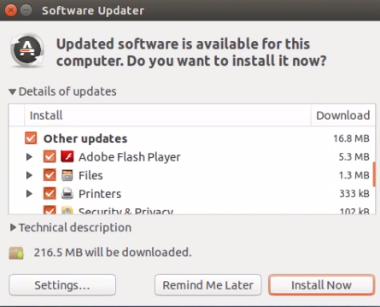 One of the examples that old kernel might do to your system is the system unable to install update from Ubuntu Software updater. 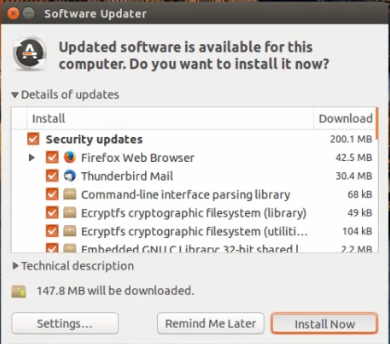 When you click "Install Now" button, an error will occur . "The upgrade needs a total of 79.0M free space on disk '/boot'. Please free at least an additional 7,381k of disk space on '/boot' .Empty your trash and remove temporary packages of former installation using 'sudo apt-get clean' "
One of the reasons why this problem happens is because the old kernel images are filling up your /boot drive partition . 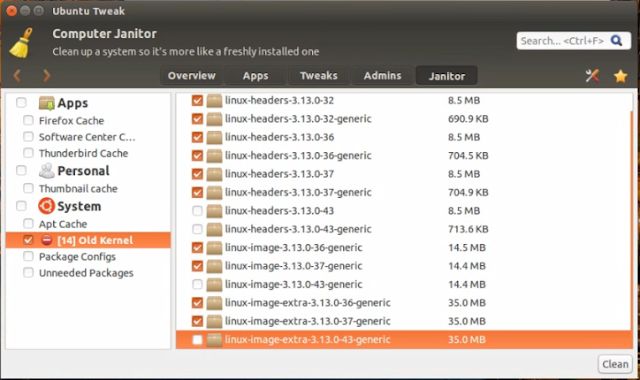 1.2)Double click the download file and finish the installation from Ubuntu Software Centre. 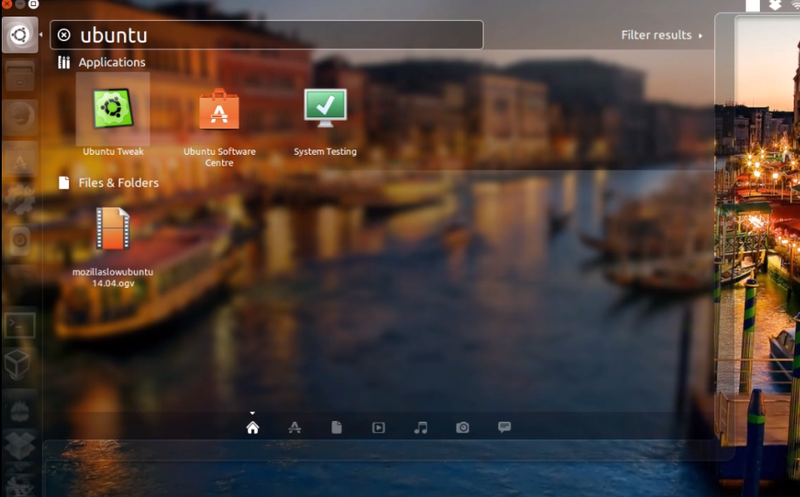 2.1)Search Ubuntu Tweak from Ubuntu dash panel and run the program. 2.2)On the Top side panel click "Janitor" and tick "Old kernel" under System. 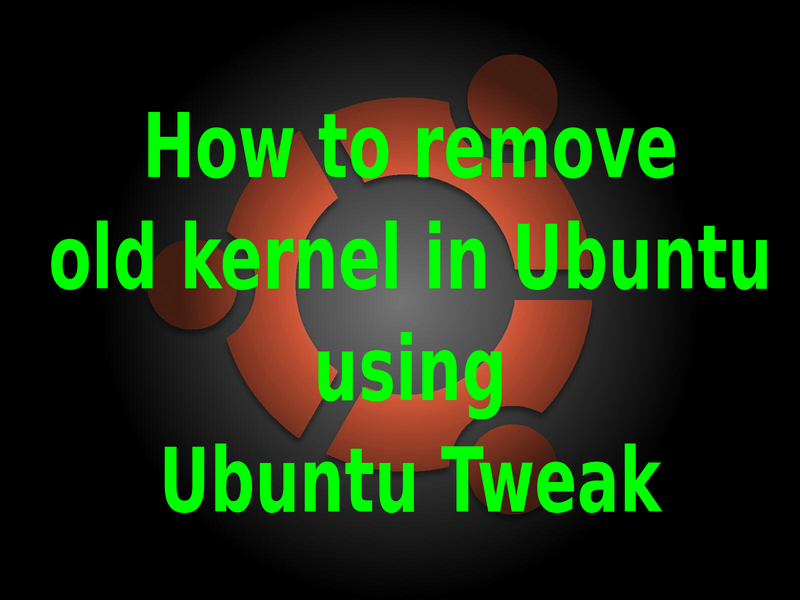 2.4) Click the old kernel that you want to delete and click "clean" to delete old kernels. 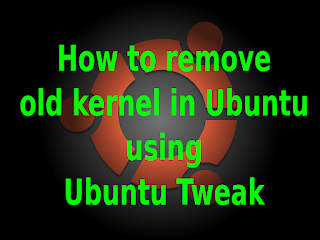 It is a good practice to keep previous latest old kernel version on your system . 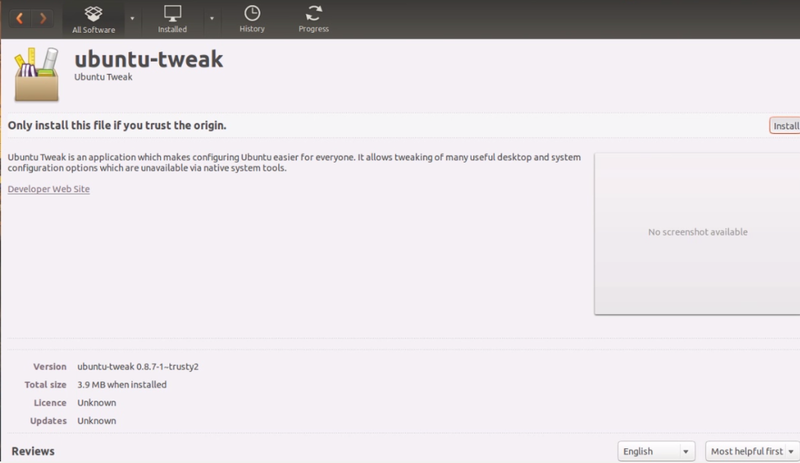 Read Next : How to capture graph performance during Boot Up in Ubuntu and other GNU+Linux Debian Distro. 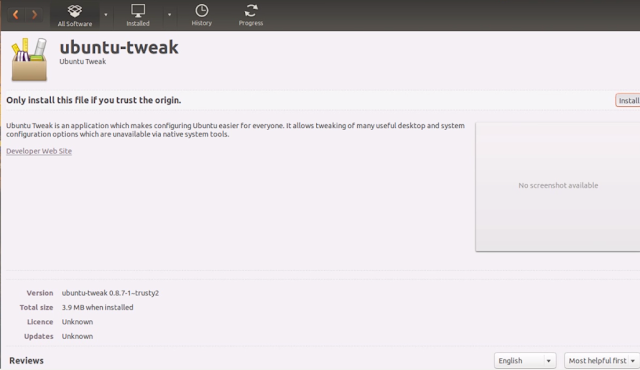 Read Previous : How to make batch text watermark image in Ubuntu.Few seconds!